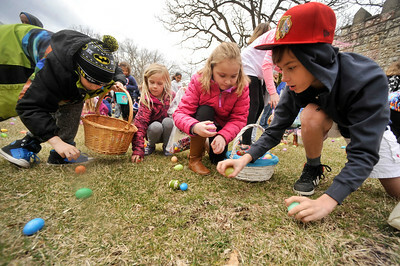 Gregory Shaver for Shaw Media Children rush to grab eggs Saturday afternoon, March 31, 2018, as they take part in the annual Bettendorf Castle Easter Egg Hunt in Fox River Grove. 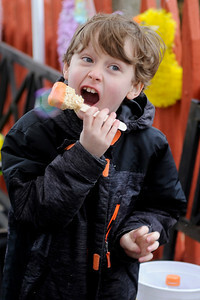 Gregory Shaver for Shaw Media Jonny Egan enjoys a treat Saturday afternoon, March 31, 2018, during the annual Bettendorf Castle Easter Egg Hunt in Fox River Grove. 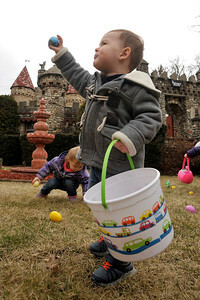 Gregory Shaver for Shaw Media Liam Egan, 2, shows his mom the egg he found Saturday afternoon, March 31, 2018,during the annual Bettendorf Castle Easter Egg Hunt in Fox River Grove. 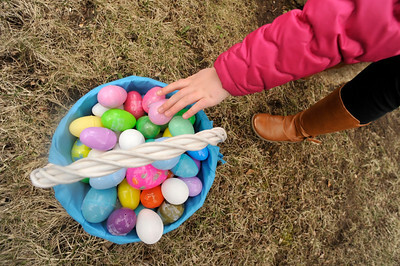 Gregory Shaver for Shaw Media An egg is put into a basket Saturday afternoon, March 31, 2018, as childern take part in the annual Bettendorf Castle Easter Egg Hunt in Fox River Grove. 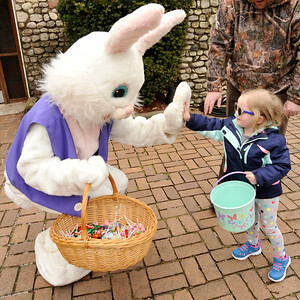 Gregory Shaver for Shaw Media Nora Patterson "high fives" the Easter Bunny Saturday afternoon, March 31, 2018, during the annual Bettendorf Castle Easter Egg Hunt in Fox River Grove. 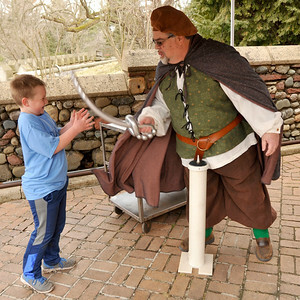 Gregory Shaver for Shaw Media Marc Solomon sword fights Tyler Riley after Solomon made him a balloon sword Saturday afternoon, March 31, 2018, during the annual Bettendorf Castle Easter Egg Hunt in Fox River Grove. 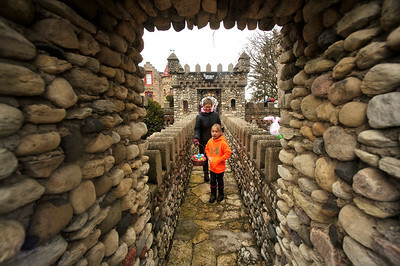 Gregory Shaver for Shaw Media Bria Larak, 7, putts an egg in here pocket as she walks through part of the Bettendorf Castle Saturday afternoon, March 31, 2018, during the annual Bettendorf Castle Easter Egg Hunt in Fox River Grove. 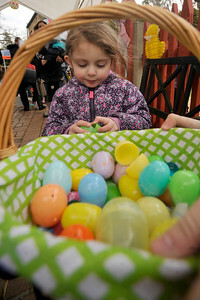 Gregory Shaver for Shaw Media Saoirse Brnnan, 3, opens and egg Saturday afternoon, March 31, 2018, during the annual Bettendorf Castle Easter Egg Hunt in Fox River Grove. 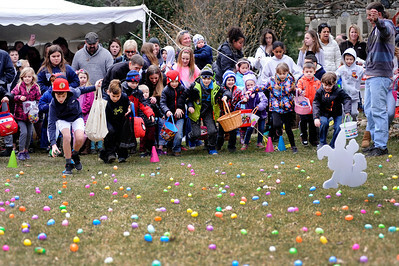 Children rush to grab eggs Saturday afternoon, March 31, 2018, as they take part in the annual Bettendorf Castle Easter Egg Hunt in Fox River Grove.